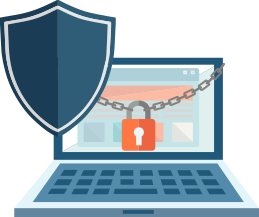 While known in the cybersecurity circles as a premium antivirus product of choice, regular consumers have remained largely unaware of this exceptional program up until 2018. Today Bitdefender is an instantly recognizable brand name that packs a big punch with its assemblage of user-friendly perks and benefits helping the company reach high levels of international acclaim. For 2019, Bitdefender has rolled out an all-new Total Security product that we will explore further in this article. Total Security from Bitdefender proclaims to meet all of a user’s needs through its four-in-one security processes for Windows, MacOS, iOS, and Android devices. Those who desire unlimited VPN access require a separate subscription. 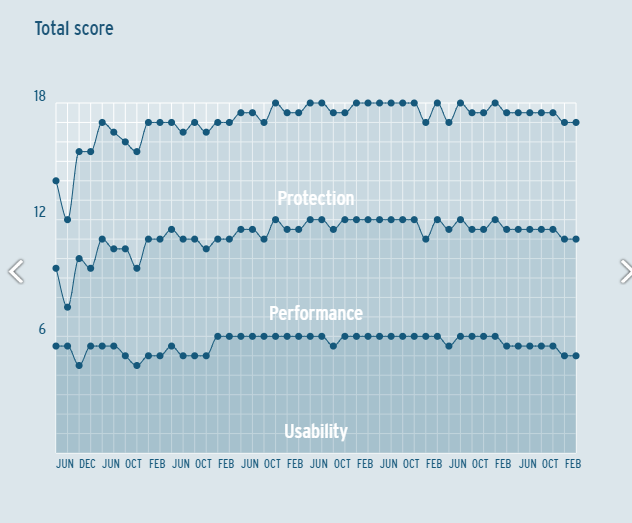 What’s interesting is that while Bitdefender didn’t have the big-name statuses of powerhouses Kaspersky and Norton, it was famed for its exceptional quality back in 2018, despite its relatively few drawbacks. 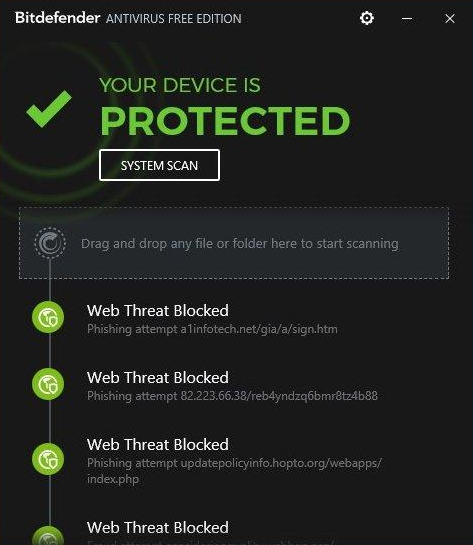 Now, with the all-new Bitdefender Total Security for 2019, users get every option they desire and have caused this already top-caliber antivirus system to skyrocket to the top choice of consumers en masse and as the #1 picks amongst publications such as PC Magazine. Bitdefender offers plenty of products that can meet specific individual needs, while also offering plenty of services, support, and free tools. 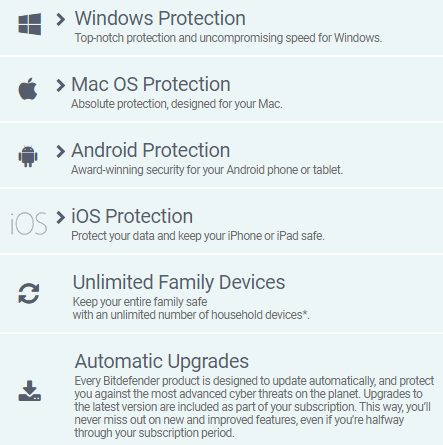 Bitdefender’s additional services include various levels of protection, performance, and privacy for Windows, MacOS, iOS, and Android. In short, whichever platform or device you are using, you are readily able to obtain protective coverage from Bitdefender. 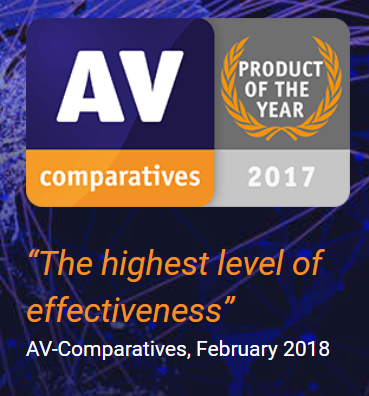 Bitdefender Total Security 2019 was named Top Pick by PC Magazine and Product of the Year by AV-Comparatives for the best anti-malware protection available today, giving you the confidence you need to proceed with your purchase. Bitdefender is an internationally acclaimed antivirus program that is popular with home users as well as small, medium, and large-sized businesses. Is proclaimed the Product of the Year according to publications like PC Mag. Their best-in-class cybersecurity solutions have won top awards from AV-Comparatives for two years in a row. Their all-new 2019 version gives users all the features they need for a true all-in-one experience. Can be used for any type and size of business or organization to protect against cyber threats of all kinds. Examples of organizations within the case studies include CreditSafe, Netrix IT, Quilvest, Esurance, All Covered, Speedway Motor Sports, CenterraGold, and Iris Solutions. Rest assured, if these huge corporations can put their trust in Bitdefender, so can you, with your at home security concerns. Antivirus Free Edition - Bitdefender Antivirus Free Edition offers baseline protection that is far from basic. 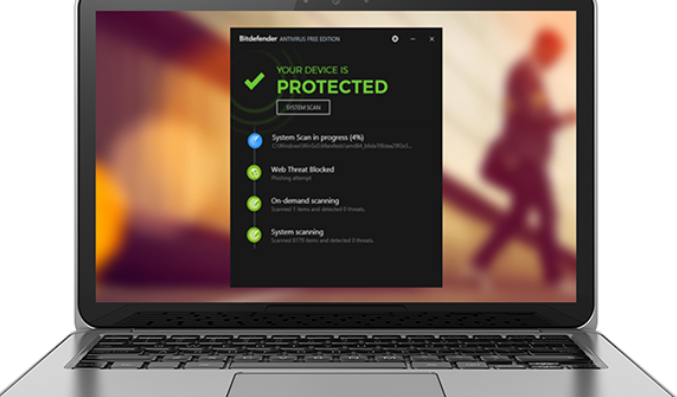 The free edition of Bitdefender protects against viruses and all other types of malware. Through the use of #1 ranked antivirus technology, it will detect and clean e-threats without causing slowdowns. 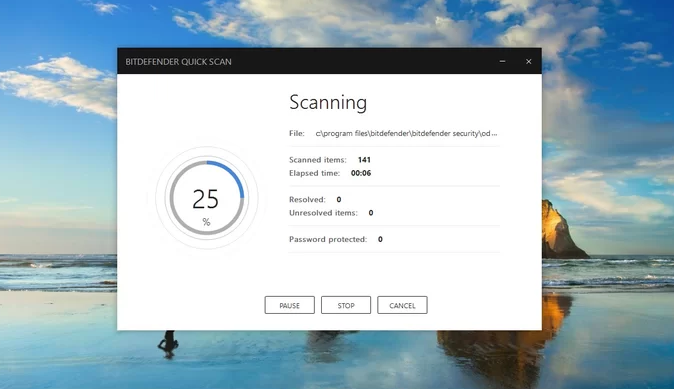 *** We recommend the Bitdefender Total Security 2019 that comes with everything users need in terms of safety, performance, protection with the exception of having unlimited devices. Available now for the amazing sale price of $53.99! 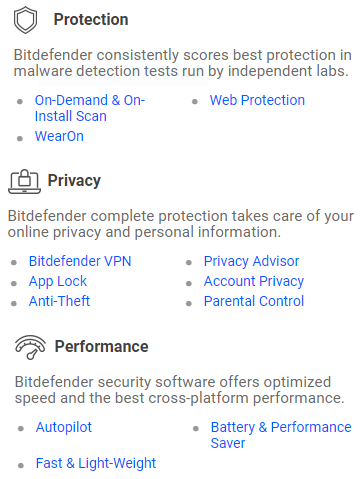 From Tom’sGuide.com - Bitdefender’s Antivirus Protection makes use of the same underlying protective elements within all its Windows products> Their level of protection commences with an engine that scans files. Seeking matches to known harmful exploits. In addition to real-time monitoring, which continuously monitors for incoming signs of an attack, Bitdefender will essentially thwart an attack before it occurs, as anything of a suspicious nature is uploaded to Bitdefender Cloud Center labs for immediate analysis and speedy reconciliation. On the Antivirus side panel, click “Scan Now” then click “System Scan” from the drop-down menu. Follow the wizard to complete the scan. Consumers who require further assistance can take advantage of Bitdefender’s many free online tools and resources, sign up for Bitdefender Central for a one-stop location for all your pressing questions or contact customer service here. 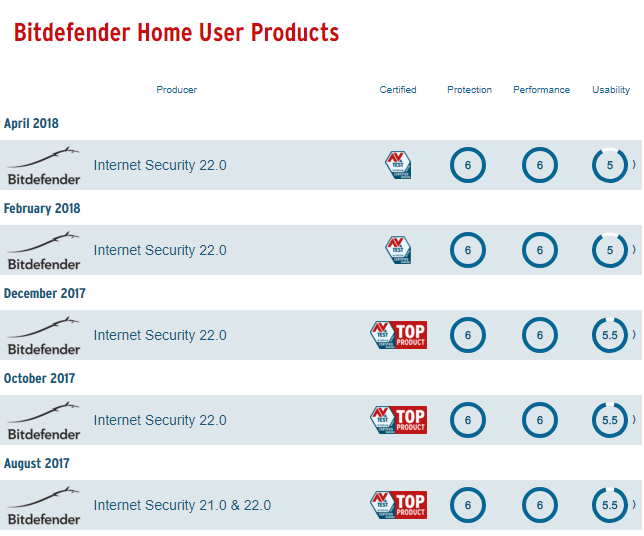 Bitdefender’s all-new full-featured Total Security 2019 has earned top awards from industry giants such as PC Magazine and AC-Testing, along with an array of third-party testing sites and labs that have collectively concluded that Bitdefender is the premier antivirus choice for 2019, as well the year prior in 2018. The software does a phenomenal job of detecting and removing imminent threats before they become full-fledged attacks on your computer. 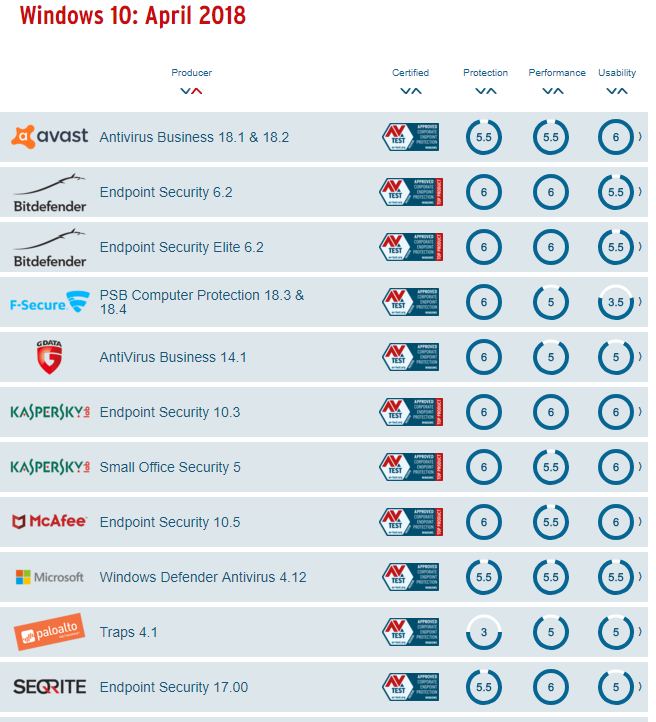 Best yet, Bitdefender uses comparatively fewer resources for its threat detection processes than competing antivirus brands. The brand-new edition unveiled for 2019 features an impressive array of extra features elevating function, performance, speed, and protection. Enjoying the surge in its worldwide popularity, Bitdefender has recently unrolled a marketing campaign for its all-inclusive package at the stunningly low price of just $53.99 for a year of service and coverage for up to five devices. 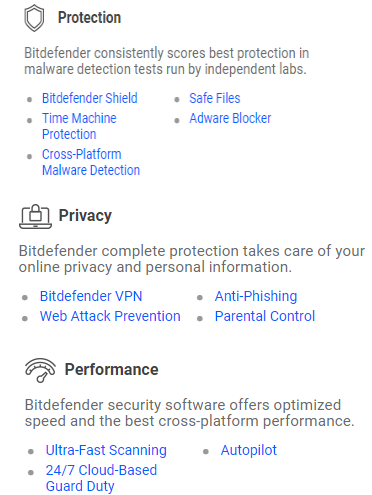 Even those consumers whose budget can’t justify Bitdefender’s low sale price would be well-advised to at least take advantage of Bitdefender's Antivirus Free edition, which gives you the primary antivirus functionality you need at no cost and performance on par with the big names in the antivirus industry. Whether you use Windows, Mac or Android devices, you’ll get comprehensive real-time protection and cutting-edge monitoring techniques that can even thwart the newest, foreign, and undiscovered hacking and malware threats. "Bitdefender is an instantly recognizable brand name that packs a big punch." 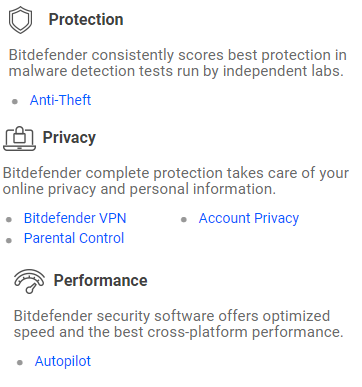 How would you rate Bitdefender?